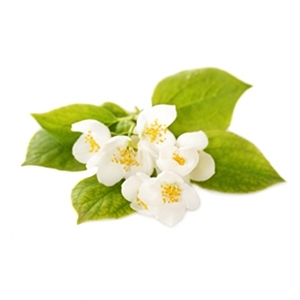 Jasmin Water - Amphora Aromatics Ltd – Supplier of pure essential oils and aromatherapy Products. The "King of Oils" has been turned into this beautiful flower water to make it even easier to benefit from the wonderful aroma and the toning, relaxing and soothing properties of this amazing essential oil. A soothing water that is great for calming easily irritated skin. It has a relatively strong aroma compared to other floral waters and so is the perfect ingredient for a scented body spray.